The community of the Royal Regiment of Artillery exists since 30 april 2012 when Det Danske Auxiliærkorps was established, a danish regiment. However, over the years Det Danske Auxiliærkorps started to become more international focused and that is why, on 16 February 2015, the regiment was renamed. was established and later on a line detachment was added. After almost 2 years of good fun, in february 2017 the RRA got disbanded. In these last months of the regiment, the RRA went through some turbelent times. Some of the leaders went through hard times in their personal lifes or in the regiment. And the RRA became no more. The detachments splitted up and all started working on their own path in the Mount & Blade: Warband Napoleonic Wars Community. A small group, including the former founders of the RRA, decided after a long time of no events too gather the former RRA members, RHF members and everyone who was interested to form once again the RRA. But this time not for Napoleonic Wars. But for holdfast, a game they where exited for once they lay their eyes on it for the first time. And so, on 21 September 2017, 2,5 years after the start. We will go to war once more. The Royal Regiment of Artillery strives to become an disciplined regiment. Ofcourse we still want to have fun so there is plenty of time for that. 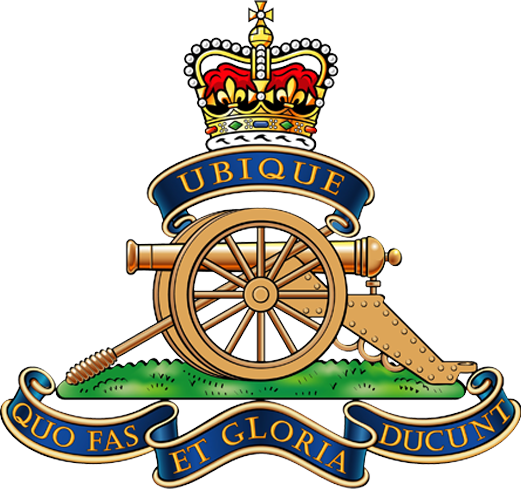 The Royal Regiment of Artillery is actually not a real regiment, but it is the artillery arm of the British army since 1716 existing out of regiments. We have decided to do it a bit different to make it easier for everyone. If you see any grammar errors, please let me know. "Politics is just history in the making."